Staff Selection Commission as a part of Employment notified the SSC Constable GD Recruitment 2018 Notification from 17th August 2018 to 17th September 2018 at ssc.nic.in to recruit the 54,953 Constable (General Duty) in CAPF’s, NIA, SSF, Rifleman (GD) in Assam Rifles and interested ones may Send their Online Applications from 21st July to 20th August 2018. While in the Registration Of SSC Constable General Duty Recruitment 2018, the Contenders Should go with the SSC Recruitment Notification 2018 Applying Timings, Employability Criteria, Fee, recruitment rounds And SSC GD Constable Salary which are clearly updated here and then register if the candidate has a detailed clarity. For the aspirant’s convenience our team providing latest updates about this SSC GD Constable Recruitment here on this page. SSC Constable GD Recruitment 2018 Application Dates Extended !!!! Latest Update on (24th August 2018): The Staff Selection Commission is extended the SSC Constable GD Recruitment 2018 Application Form Submission dates. 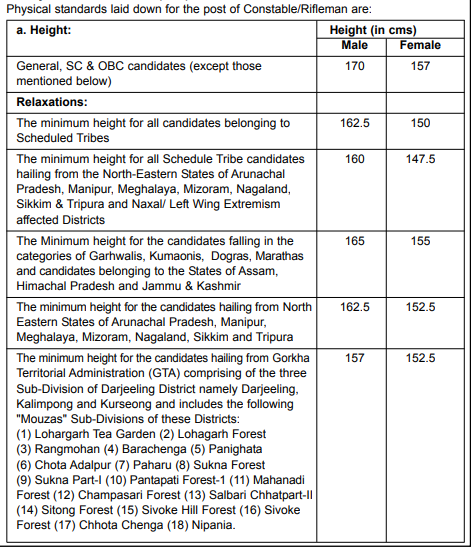 Aspirants check them here. Are You Looking for the Staff Selection Commission Jobs? Then Keep a Full Stop for the Searching. Because of SSC Constable GD Recruitment Notification 2018 on 17th August 2018. 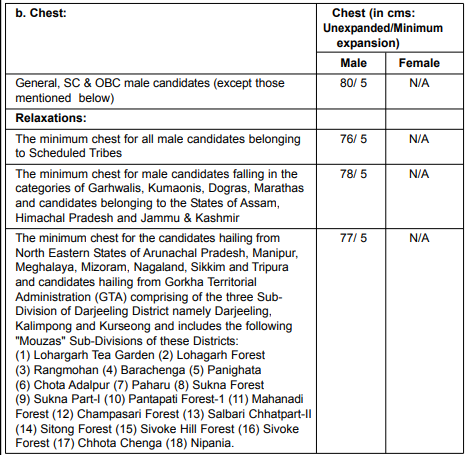 Through this Notification, SSC offering a total of 54,953 Vacancies of Constable General Duty in The Departments of CAPF’s, NIA, SSF, Rifleman in Assam Rifles. Job Hunters who want to settle in India Jobs may Open the SSC Constable GD Notification 2018 once because the Qualification for this Constable is X/ Matriculation. So, there is a Huge Competition Among the Contenders in India Level and the Candidates need to must and Should first go with the complete info which is updated about Staff Selection Commission Constable GD Recruitment Notification 2018. 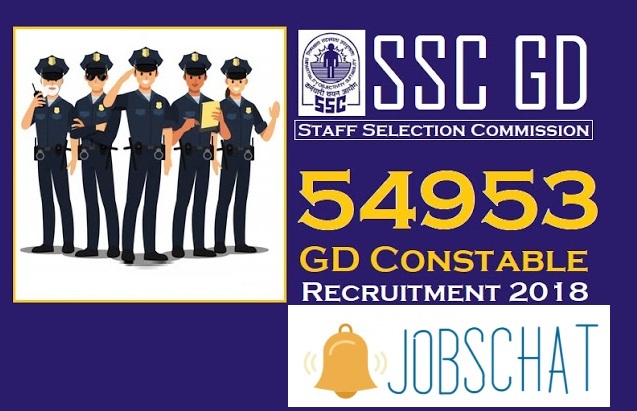 As the Staff Selection Commission Offering a total of SSC 54,953 Constable GD Vacancy, Among them 47,307 are fixed to Men and 7676 For Female Persons. And once again 10% are fixed to Ex-Serviceman. So, the Candidates belongs to India Have the Opportunity to Register if they contain all the Details which are incorporated here. And the age relaxation is also accepted here for the SSC Constable GD Recruitment 2018. But the Link to Register for the ssc.nic.in GD Constable Recruitment 2018 is made available between 17th August 2018 to 17th September 2018. Every Person needs to send their Online Application for 54,953 SSC General Duty Constable Jobs, only for the available dates. Last Date To Enroll 17th September 2018 at 5 PM. In accordance with the SSC Constable GD Recruitment Notification 2018, the Aspirants should Complete SSC/ X Class/ Matriculation from the Reputed Institution. 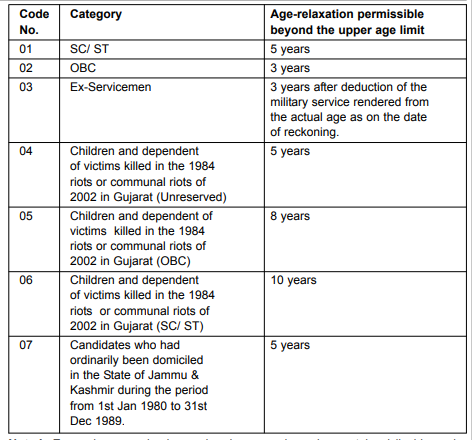 Candidates Age should be within the Lower And Upper Age Limits of 18 Years and 23 years as on 01.08.2018 i.e Candidates should not have been born earlier than 02.08.1995 and later than 01.08.2000. Coming to the Application Fee, A Nominal fee is placed by SSC Board on the Staff Selection Commission Constable General Duty Recruitment Notification 2018 where the applicants need to pay it Online mode. Totally the Selection of a candidate will be done by Three Tires as mentioned here. The Staff Selection Board Issues the PayScalae Per month ranging from Rs.217,00/- to Rs.69,100/-. Primarily, the Staff Selection Commission intimated the SSC Constable General Duty Recruitment Notification 2018 on Employment News to make aware the Applicants across India. As the SSC have divided the Applicants across Nine Regions and distributed the 54,953 SSC Constable Jobs across the Regions in Various Regions. So, Candidates according to the Registration Notice Placed here should Apply for this SSC Constable Recruitment 2018 For 54,953 General Duty Constable Jobs without failing to add the Application and if the contender possess any query simply comment on the Box provided by our site Jobschat, where we will value your question and clear very fastly about the SSC Recruitment 2018 For 54953 General Duty Constable Jobs. As the Contenders have gained the Full Fledged info about SSC Constable GD Recruitment 2018 here, immediately they all should Register for this 54,953 SSC Constable General Duty Jobs in Online at ssc.nic.in. After then refer the Model Papers & Syllabus which is actively placed which is to be prepared by the candidate to clear the Written Test planned in Upcoming months conducted in accordance with the SSC Constable GD Recruitment 2018 Norms. The SSC board also offered the salary ranging from Rs.217,00/- to Rs.69,100/- to those who cleared the Recruitment crooks. Keep reviewing this page to know the Exam Dates which is to be placed by SSC officials for the SSC GD Constable Recruitment 2018.